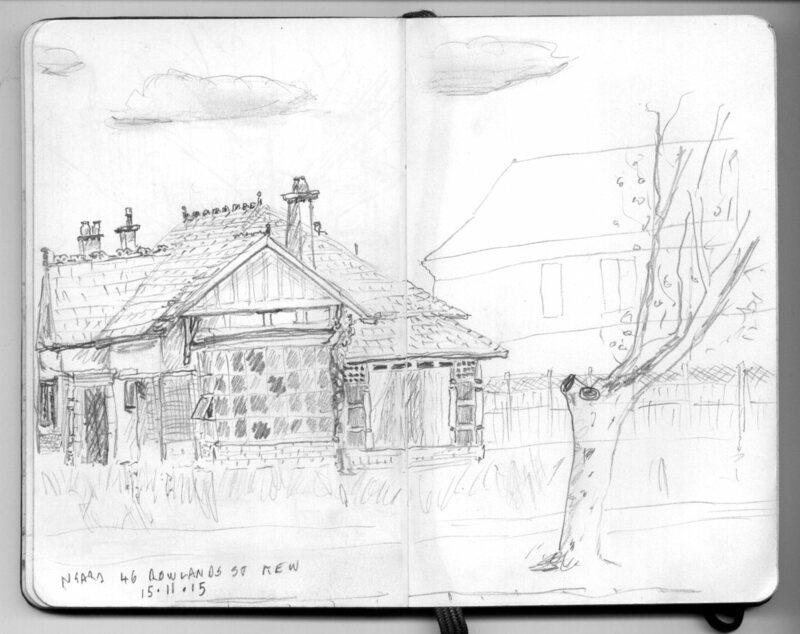 Australian Archaeology: Gough Whitlam's Birthplace, 'Ngara' 46 Rowland Street Kew. Gough Whitlam's Birthplace, 'Ngara' 46 Rowland Street Kew. I recently wrote to the Boroondara Council congratulating them on their decision to keep Gough Whitlam's Birthplace on the Heritage Overlay. While this went against the conclusions of a some experts in the Heritage Council and Planning Panel process, it does, I believe, represent the wishes of ratepayers and the general public (despite there being some vociferous detractors on both the question of preserving the house, and the Whitlam Government's legacy generally). I think it is the right decision and one that will be rewarded in the future by generations that look back and will have a place to focus their considerations of the better efforts of our politicians in improving the lives of their constituents. 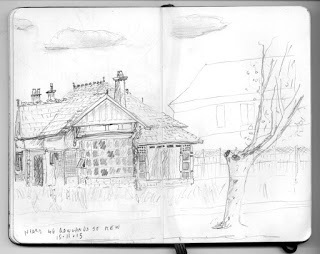 Last weekend, anticipating it might be the last opportunity to do so, I drove over to Kew to take a couple of photographs and draw a sketch of the house (I am no artist, this was merely an aide-memoire). In the 20 minutes this took, I saw about a dozen people drive past, and either stop to have a quick look at the house, take a photo, or ask me what I was doing. All were aware that it was Gough's birthplace, and several made a special visit to have a look. This may have only been because of media coverage, but given the last item in the papers was from mid October, they must have had in their minds the need to pay homage of sorts for some time prior. This demonstration of interest in the house confirms to me an underlying need to commemorate and preserve places as symbols of what we hold important in our history and society.